This year MIU Faculty of Oral & Dental Medicine is celebrating the graduation of 10 classes by organizing a series of events and activities that mark its notable achievements to date, and shed light on what it can offer for the future. On Thursday 12/5/2016, the Faculty is organizing an on-campus scientific day entitled “From Virtual Dentistry to Reality”. A number of distinguished foreign and Egyptian professors will give lectures on the latest in the field. 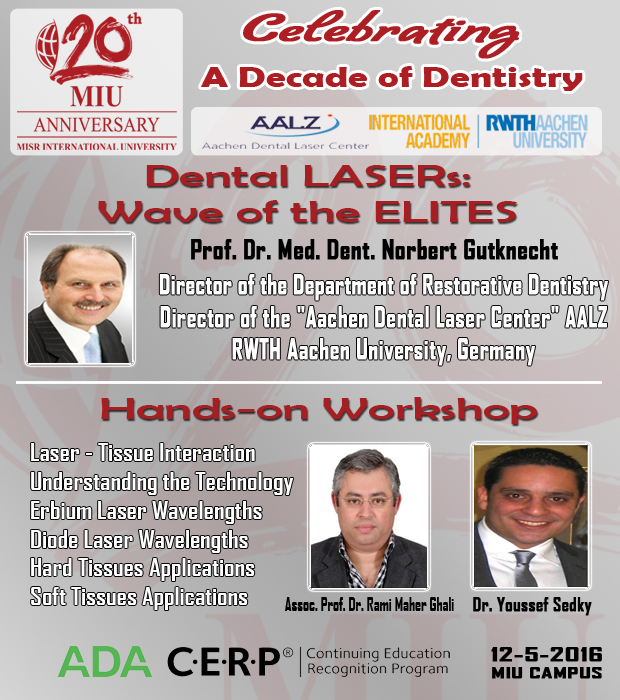 Prof. Norbert Gutknecht, Director of Aachen Dental Laser Center, Germany, will give a lecture entitled “LASER in Dentistry” followed by a hands-on workshop. 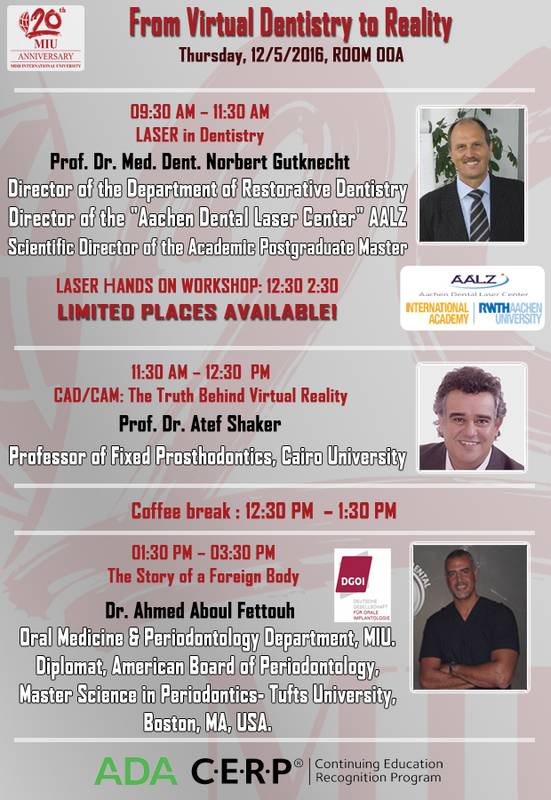 The list of speakers also include Prof. Atef Shaker from Cairo University, who will be speaking about the field of CAD/CAM in dentistry, and Prof. Ahmed Abuol Fettouh from MIU, who will give a lecture on the latest in implantology. For 15 years, the Faculty of Oral & Dental Medicine has provided its students with a world-class environment for learning and research to prepare them to be pioneer dentists. The Faculty looks toward the future as a model of academic excellence that will continue to impact the field of dentistry for many years to come.